The seventy or so chapters are stand-alone stories, full of individual character and intriguing detail. (They're also transcribed precisely, and contain much local slang and dialect words. It was fun to try to figure out where the contributor was from based upon their use of English.) To his credit, Harold has not felt tempted to intersperse the stories with his own spin. He does not have an agenda that I can detect, or even a set of opinions about the nature of the events described by his listeners. He is more akin to a counsellor than a ghost-hunter, allowing the experiencer to get the story off their chest in a safe, non-prejudicial environment, albeit one listened to by thousands of other people. This non-judgemental approach is backed up with a human warmth and empathy that I find endearing. 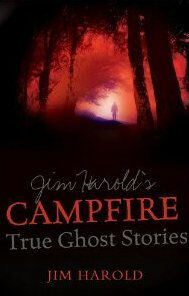 But this book is not really about Jim's skill as a paranormal talk-show host. The true focus are the listeners. Stories range from classic ghost and poltergeist encounters, to abduction/missing time scenarios, to psychic/synchronicity events of the utmost weirdness. When paranormal activity like this happens to someone, their outlook on life is often fundamentally altered. It's true that some seemed to be able to discuss their supernatural experiences whilst at the same time continuing to profess scepticism about the paranormal. But for most, the events were a turning point in their understanding of reality. Or, at least, their appreciation of how truly odd reality can be. Simply put, the universe does not appear to play by the rules, and it can be quite a shock when one has that realisation. But it was not just my analytical, detective skills that were called forth when reading this book. It had an impact on a more fundamental level. Some of these stories were just plain scary. I particularly felt the fear for those who found themselves alone in a house where loud inexplicable noises erupted at night. Staircases sounded to regular creaking footfalls, doors were knocked by nobody, beds shook at the hands of shadowy apparitions, whole houses erupted into a litany of ghastly noises as if a portal to Hell itself had been flung open. Adult contributors to the show often related events that had taken place in their youth. As children, these frightening events must have been terrifying. I particularly recall the story where the mother of two small children in Germany disappeared from their home for two hours after it had been enveloped in bright external light. The two kids got worked up into a real state of terror when they couldn't find their mother. (Doors leading from the house were locked from the inside). She returned as if nothing had happened, unable to explain the missing time. Whatever might have happened, I understood how scared those kids must have felt! There are plenty of cases in the book where the event is witnessed by more than one person, or where dogs or cats in the room react violently to the phenomenon. Many of the contributors take it upon themselves to research the history of the building where the event took place, often citing deaths or tragedies which might have triggered the paranormal activity. Nearby Civil War battlefields were popular foci of attention for many American story-tellers. Other tales centred around individuals, especially those who had experimented with Ouija boards. Jim Harold's favourite tale involved one of these where two people playing with a Ouija board witnessed an indistinct blob in a lava lamp transform into the face of the Devil. Other, darker material related to Ouija boards should offer a strong warning to those tempted to have a go. This is an excellent ghost book - one that I'm keen for my kids to read this coming Halloween!